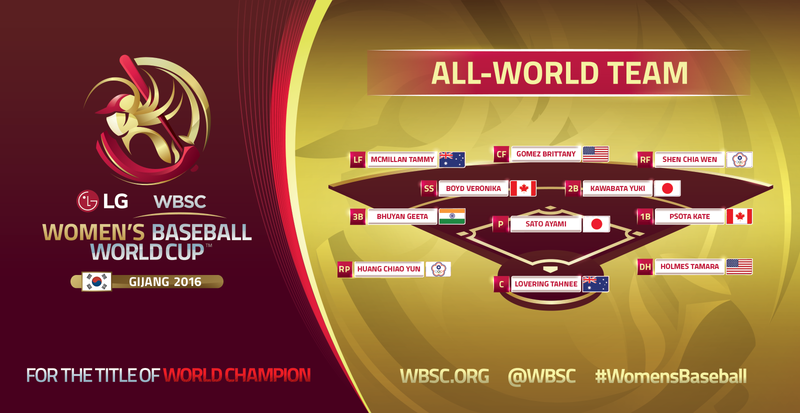 （Insidethegames, Sunday, 11 September 2016）Japan eased to a 10-0 victory over Canada　to win their fifth consecutive World Baseball Softball Confederation (WBSC) Women’s Baseball World Cup title in Gijang, South Korea. After winning all of their Super Round matches this week, and securing top spot in the standings, the Japanese team were heavy favourites in the final and did not disappoint. After a tense start, Japan were only 1-0 up after the first two innings. However, five runs in the third took the game away from their opponents and the Canadians were unable to respond with the Asian team adding a further four runs in the fourth and fifth innings to claim the title. 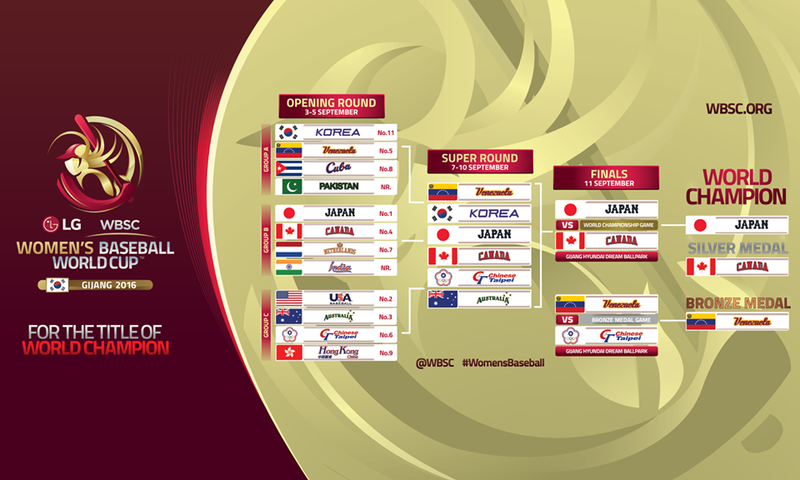 In the bronze medal match, Venezuela beat Chinese Taipei to secure their best ever finish at a Women's Baseball World Cup. After emerging on the wrong side of tight contest against Canada yesterday where they lost 2-1, Chinese Taipei started brightly and scored a run in both the first and second innings to lead 2-0. Venezuela were initially unable to respond, however, and it took until the final innings for them to post a run. Chinese Taipei added another before the South Americans scored two to edge their way back into the contest and set up an interesting finale. Trailing 3-2 with two outs and the bases loaded in the bottom of the seventh, Venezuela's Osmari Garcia then hit a two-run single up the middle to complete a thrilling 4-3 comeback.